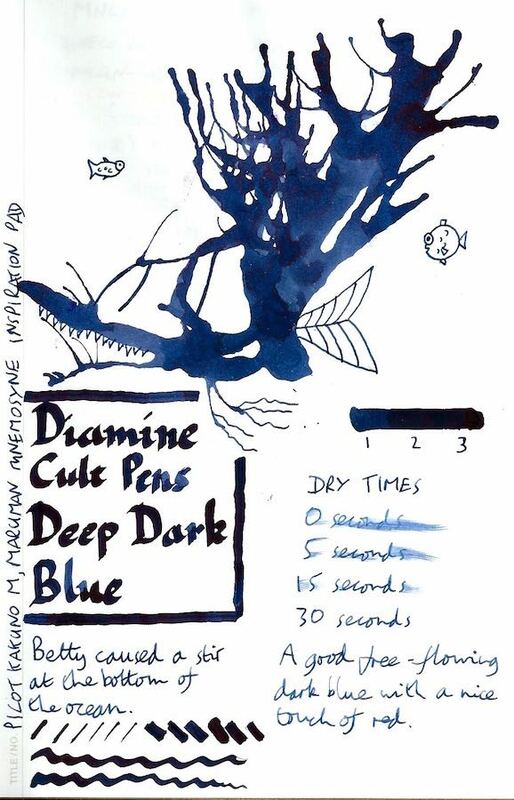 Diamine Cult Pens Deep Dark Blue Ink Review – Pens! Paper! Pencils! A lovely dark blue (the clue is in the name) with just a touch of red if it pools. Not a lot of shading but good flow and good dry times. 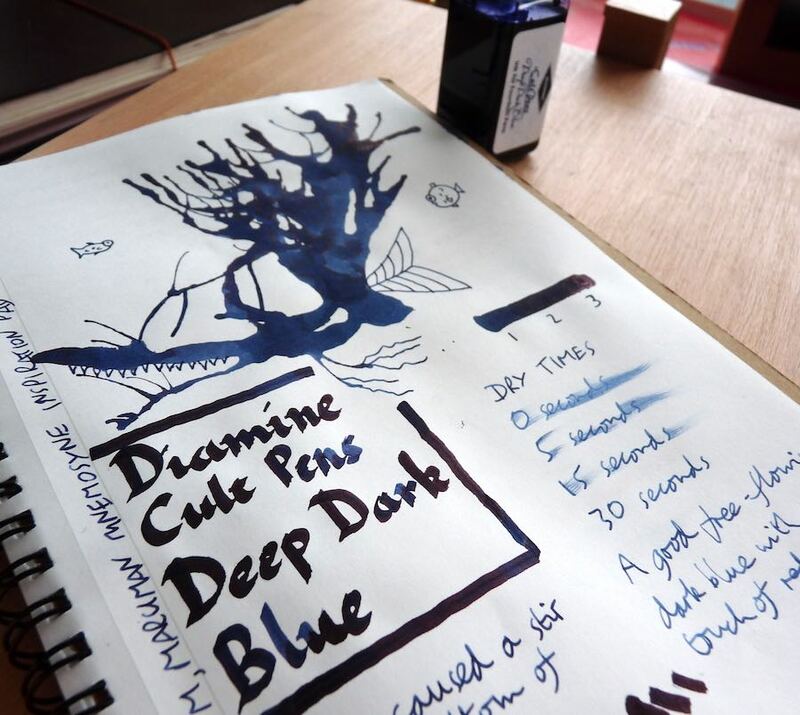 Thank you very much to Cult Pens for sending me this ink in exchange for an honest review.